Welcome to Purple Flour. 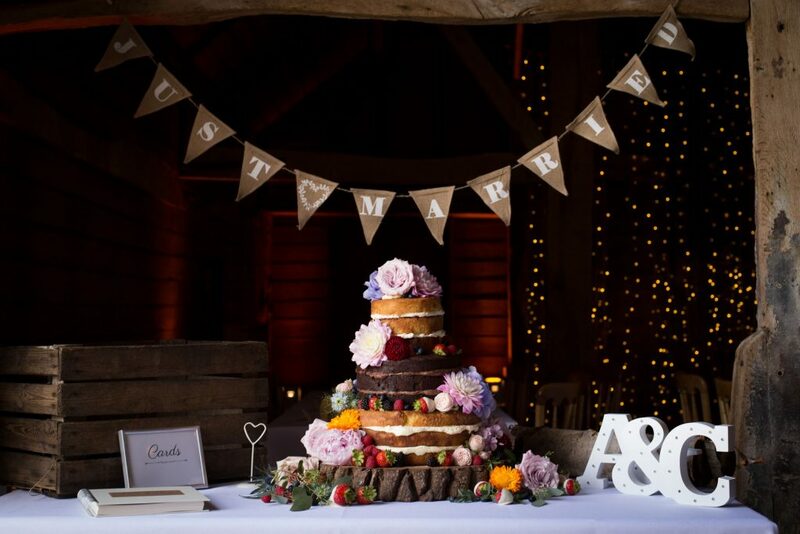 Established in 2010 by cake designer Claudia Newberry, Purple Flour has blossomed into a successful and well-established cake company. We specialise in creating beautiful and unique cakes to our client’s exacting requests. The difference to other cake design companies is our huge emphasis on also producing cakes of outstanding taste, not just looks! Having been born in Germany, Claudia grew up baking delicious cakes with her family. After arriving in England and forging a successful career in retail management, Claudia wanted a career change that allowed her to develop her passion for cakes and build a business around her young family. 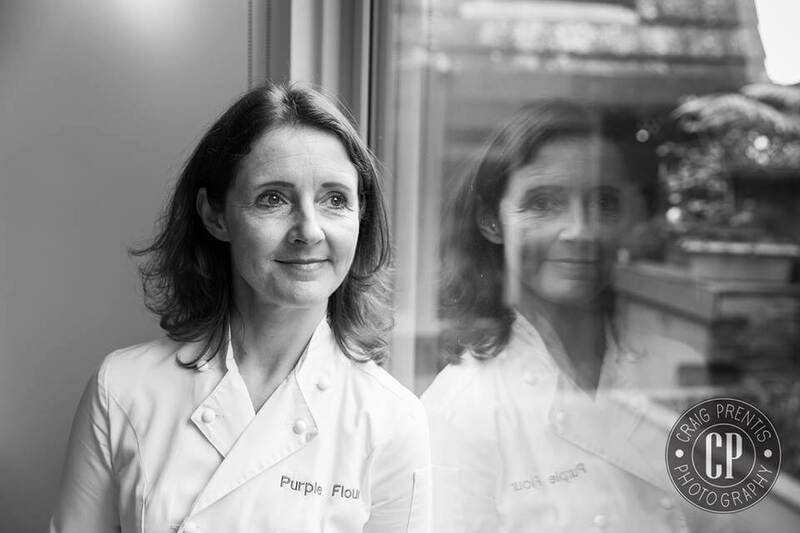 Inspired by her husband’s grandmother who made wedding cakes for her friends and family, Claudia completed a Masters in Cake Decorating and set up Purple Flour from her kitchen at home. Six years on and many cakes later, Purple Flour has built a reputation for always delivering well-executed cakes with exceptional taste and attention to detail. Purple Flour has, as a result, become a preferred supplier for Hever Castle, Penshurst Place and other prestigious venues throughout the South East. Claudia was even fortunate enough to bake a cake for Prince William that was featured in Hello magazine! Claudia works with every client in person to design and deliver a cake that is unique to both the occasion and the individual/s. The focus of her business is wedding cakes but special celebrations are also well catered for. All of our cakes are baked fresh to order and we use only the finest ingredients, such as actual vanilla beans (not pastes or essences), Belgian chocolate and fresh organic fruit. We bake a variety of cakes and flavours, click read more to see a selection of our most popular Purple Flour creations. If you don’t see your favourite type or combination then please just give us a call to discuss what you would like. Sponge Cakes – our sponges are light, moist and full of flavour – never dry or never dull! Luxurious Red Velvet – a sumptuous red sponge layered with a cream cheese buttercream – a firm favourite of many brides! Classic Rich Fruit Cake – a rich fruit cake baked from my mother-in-laws recipe, with the fruit soaked in brandy for two weeks and the cake baked at least two months in advance of your day to ensure it is moist and full of flavour – this one even keeps for your future christening cake! Some of our cake flavours are also available as Cupcakes and most can be made as a gluten or dairy free option. Our cakes are baked in a kitchen that uses nuts so please let us know if you have a nut allergy. For more information on booking your consultation or pricing please contact us on claudia@purpleflour.co.uk or 01892 520219 or fill out the ‘Contact Us‘ Form. The first step is to let us know the date of you big occasion and to confirm our availability. We only take on a limited number of commissions and we’d hate to see you disappointed if we are already fully booked. 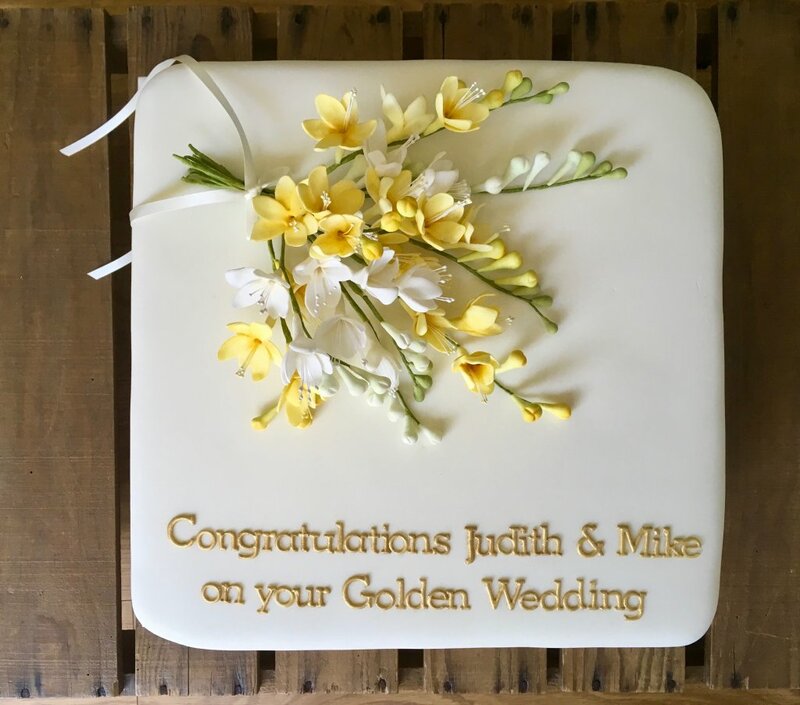 We would normally advise contacting us at least 3 to 6 months before any Wedding Cake order but please be aware that some dates during the summer months become full over a year in advance. For celebration cakes we usually require less notice. The fun then really starts with an invitation to a design consultation and tasting session with Claudia in person. We do ask that you have your wedding venue booked at this stage and decided on at least an outline theme for your Wedding as otherwise we find it challenging to design your dream cake to match the big day. We provide a very personal service and will work closely with you aiming to create something that will truly exceed your expectations, and that of your guests. During your consultation the design process begins with discussing your event and initial cake ideas and design thoughts in more detail whilst we get to know you, and you get to know Purple Flour. The initial design usually comes together over the hour period as you sit comfortably and sample three of our delicious cake flavours! After your consultation you will be sent a detailed summary of the Wedding Cake design so far and a sketch for your approval. Don’t worry at this stage if you change your mind, we are used to brides, or grooms, wanting to make alterations! Design consultations and tastings are complimentary for your Wedding Cake. For smaller orders and for commissions where a meeting is not always possible, such as clients being overseas, the initial consultation process can be carried out via telephone, email or Skype. We only take on a limited number of commissions each week ensuring that the utmost quality and time is dedicated to your order. All of our cakes and biscuits are made to order and designed specifically for you. Pricing is dependent upon the size of the cake, the number of tiers, the ingredients and also the amount of time involved in creating your personal design. A 50% non-refundable deposit is required to fully confirm any Wedding Cake order with the balance due 4 weeks before the Wedding date. You may also reserve your event date with us in advance with a holding deposit and decide on your design details at a later stage. 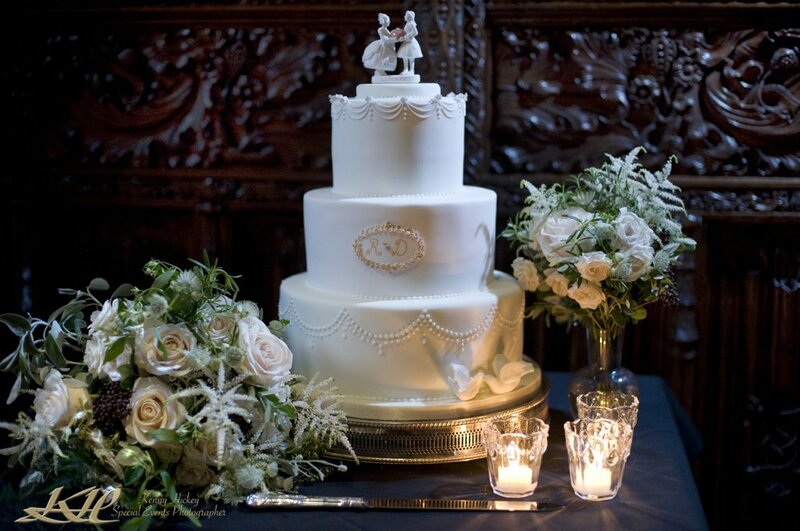 A delivery charge may be applicable to your Wedding Cake commission depending on the location of your venue. As an approximate guide deliveries are charged at £0.50 per mile based on a round trip to the venue. We have a selection of stands and knives that can be hired from us for a charge and/or deposit. For Celebration Cakes we accept payment upon collection. Delivery charges can be discussed upon placing any order. We hope you feel inspired by seeing just some of our creations. We would love to design your dream cake so if you require great design and taste then please get in touch on 01892 520219 or claudia@purpleflour.co.uk. Many thanks.